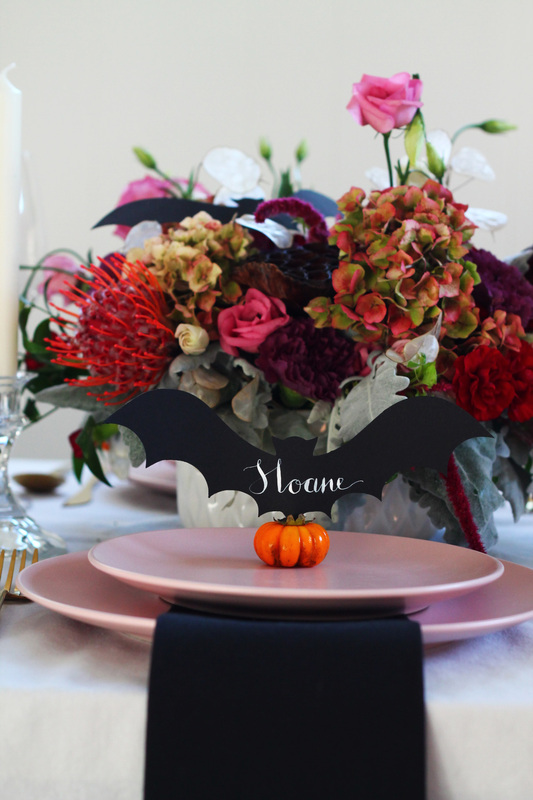 I’ve never hosted a Halloween dinner before, but that doesn’t stop me from creating a halloween tablescape! 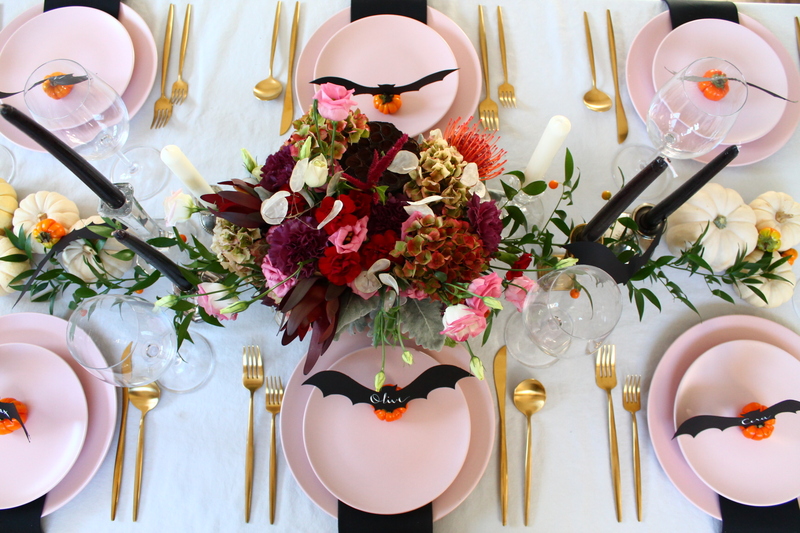 And let’s face it, I like to do things a little out of the ordinary, and I’m obsessed with pink, so a pink and black halloween tablescape was an absolute must. 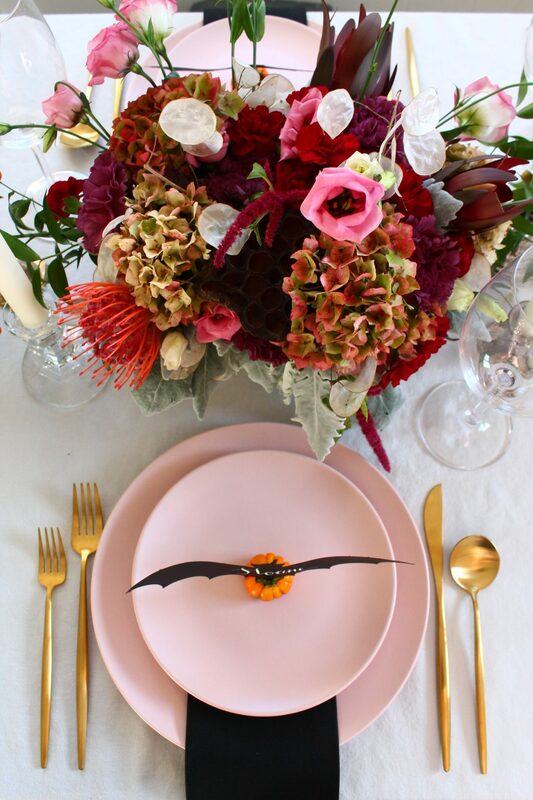 I had a lot of fun with florals for this tablescape (get the how to over here) and using our inventory to make everything come together. 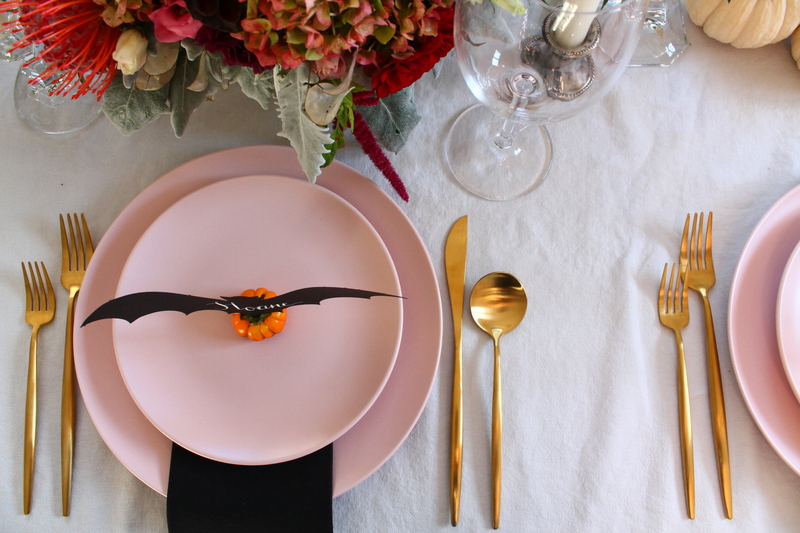 The main feature is our upcoming matte blush pink dinner and salad plates (now booking for 2019) and harlow flatware in brushed gold. 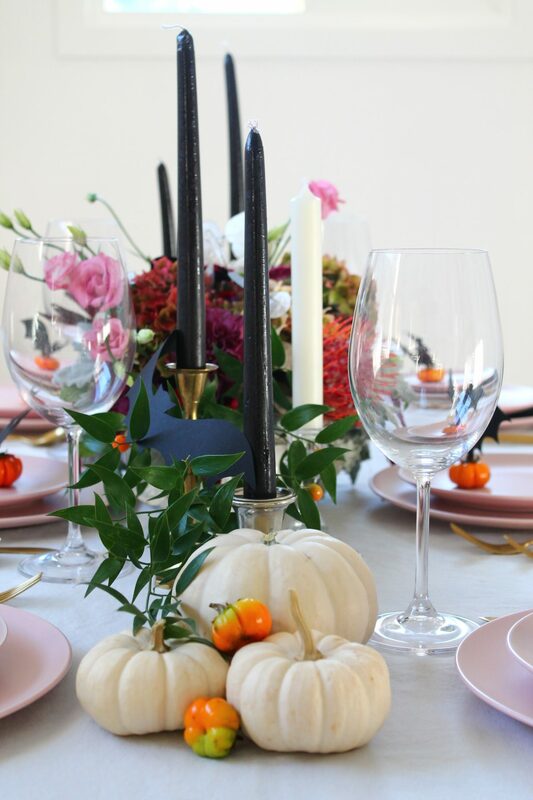 I also selected our crystal and silver candlesticks with cream coloured and black tapered candles. 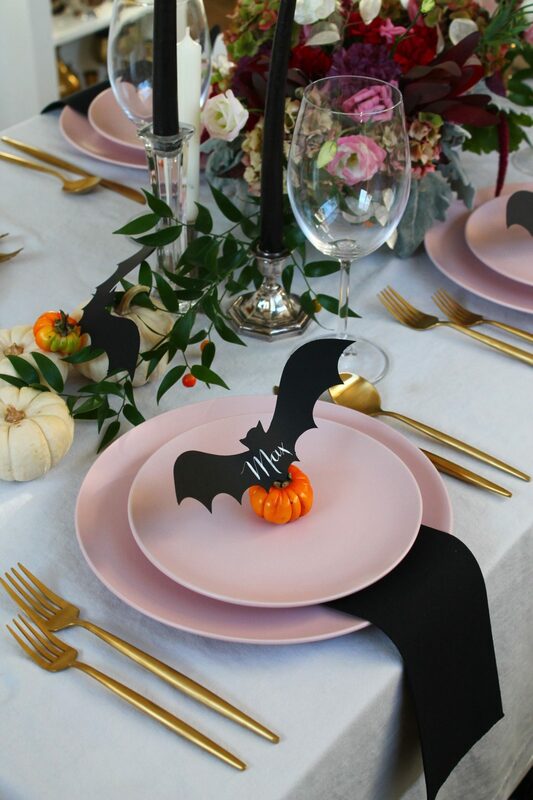 I kind of feel like black candles are a must for any halloween tablescape. 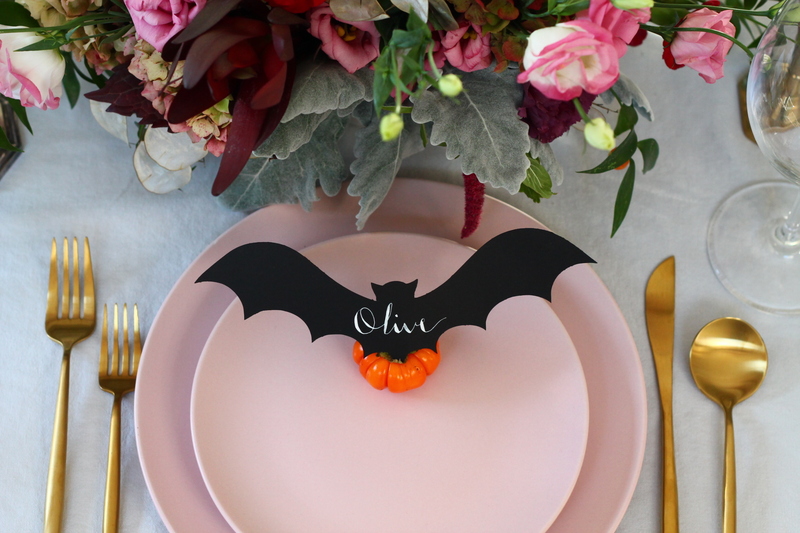 Each place setting is adorned with a teensy pumpkin and a cut out bat name card. I adore writing calligraphy so it was fun to get back at it for this wee project. Whether you’re the traditional orange and black kinda folk or you like a bit of unexpected colour, I hope you have a fun, candy filled Halloween!